Would you like to have our latest blog content delivered regularly as soon as it becomes available? Then please provide your email address when registering. Information on data protection and privacy is provided here. We are excited to announce that Swissmeda 2.10 just launched on Mac. From now you can work on the same case in your office on a Windows computer and finish your work on your Mac at home. Swissmeda Mac App will be compatible with OS X 10.9+ (Mavericks or newer). The basic user interface of the planning tool has been slightly improved, but functionality on Mac is nearly the same as on Windows. This is just the first release, we keep improving it both functionally and visually over the course of the following months. Your feedback is most welcome! There have been a lot of changes and improvements since the last version. Here we will get you all up to speed on what has been done and what’s to come in the near future. We’ve implemented a new offline mode, which will switch automatically when you will lose network. (You will be able to keep working on your case during flight or sitting in the back of Taxi.) All saved changes will sync automatically with next network connection, so you will not lose any data. Notice: Please remember to have autologin on, otherwise offline mode will not work because app will block on next opening as no user is logged in. We have added the new setting “Open multiple cases simulataneously”. When this setting is enabled, you can work on 2 or more cases in parallel at the same time and increase your productivity. Now you can set auto-login setting during your first login. This option is shown at the bottom of the login dialog. We have updated the format of stl file saving, now it includes such information as patient id, version and date. Now you don’t have to worry about which version of template you are going to print, you will see all information in the file name. We are continuously improving our Data Management to bring reliability and increase performance for downloading and uploading cases data. We added Scan Adapter export to simplify the process of constructing prosthetics. All that to make the Swissmeda app a fully functional. The new smop shell has been redesigned, to make it easier to find and manage your cases. We invested a lot of time to speed up the shell, so reaction times will be much faster from now. Now, when you start using the smop shell, it’s simple. It’s clearer where to start and how to find the information you want. new pagination to make loading the list faster, and beautiful case preview images in bigger resolution. You can also see we have increased the size of case items, to make clear, consistent information hierarchy throughout, so you can quickly scan a page for the important information. And new circular progress bars per case, copying user experience from our iOS application, letting you control data transfer in efficient way, so you can focus on the work at hand. 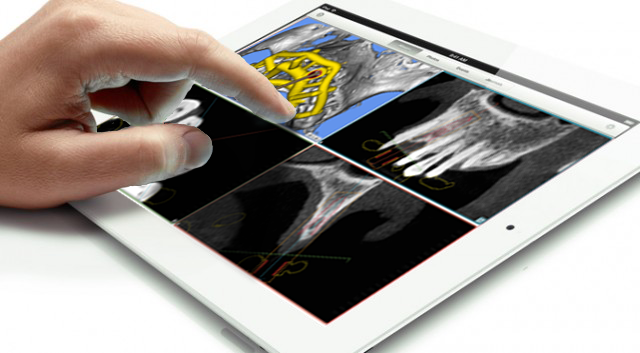 The new Swissmeda is a fundamental evolution of our product, and with it, the easiest way to manage your implant plannings and get results. We want Swissmeda to be a great experience for everyone, whether you’re using your laptop, your desktop computer or even if you prefer to only work with a mobile device. You can check it out on Mac, Windows and IOS APP today. We hope you love it! Smop’s Hungarian distributor, Merfol Ltd, organized a 2 days advanced course in Hungary presented by Dipl.-Ing. Florian Schober. Beside the Hungarian dentists, other dental professions from different countries attended this course. The participants got very useful information about the digital tools of implantology from the basics (i.e. imaging techniques CT, CBCT, intraoral scan) all the way to deep details of the SMOP software possibilities. They also could use their fresh knowledge on the hands-on planning and drilling with template practices. Thanks to Dipl.-Ing. Florian Schober for presenting an excellent 2 days course. It was a great experience for us and all the participants! The launch of smop in Japan took place in the middle of May. Camlog Japan was about to start a smop service center in Tokyo and invited Ulf Neveling from Stentists to Japan to give an intensive training. Within 5 days we had intensive lessons with more than 50 employees and customers who learned a lot about the virtual world of implant-planning. From the upload of DICOM-data to implant planning, designing the stents and preparing abutments and provisionals fully digitally we got into all existing aspects. We wish the Tokyo Center a very successful start and are happy to have been able to support them. The new smop App is now available for your iPad and iPhone! Visit the AppStore and download the most recent version of the smop App to you iPhone or iPad and have all your implant planning cases available wherever you are. That way you can easily agree on your current plannings with your clients or dental team. smop will now be available for Mac, iPhone and iPad! You'll be able to surf the 3D layers, comment or approve planings and templates with the smop-App! The 3D-printed smop template is of highest quality, fits perfectly and in addition not expensive. The design provides a very good view during all steps of surgery. Bring your own case to the IDS and have it panned live at the fair! In the wonderful surroundings of Dr. Pascal Marquardt's practice the "Neue Gruppe" hosted a 2-day-workshop. The participants worked on their own cases using the smop software under guidance of Dr. Pascal Marquardt and Ulf Neveling. During the live surgery it began to show how many additional advantages the new virtual sharing possibilities using smop can bring. So it was possible to imply a purely digitally produced functional-aesthetic provisional - based solely upon the virtual planning. A large group of American dentists and specialists came to Zurich this September to participate in the renowned 3 day course on implant dentistry at the University of Zurich. 3D implant planning and template guided surgery had been the main focus in addition to all other relevant topics. A large team of the Center for Dental Medicine of the University helped the participants cooperatively during the numerous hands-on exercises. The course was a great success. The participants gave us enthusiastic feedbacks. We are very happy to have gained so many new users in the US and will be happy to support them furthermore. PD Dr. Sebastian Kühl from Basel presented results of a study where he compares the accuracy of manually built drilling templates to the printed templates of Swissmeda. His results reveal that the printed smop templates are far more acccurate! We are eagerly looking forward to the publication of that study. Prof. Dr. Irena Sailer from Geneva presented the status quo as well as future tendencies of digital workflows in dentistry. Her presentation contained firsts results of the recent developments of Swissmeda and the integration of 3D face cans into the planning data. At the intensive training "Computer aided implantology" in Munich with Dr. Claudio Cacaci the new Camlog drills were used in combination with a smop drilling template. The new Camlog system convinced all participants of its easy and accurate application. We are excited about the commercial launch and the following experiences. The sold-out training in Hilzingen (near Singen, Germany) was a successful event to show dentists and dental technicians the advantages of our smop-system in combination with the new Camlog Guide 2.0. Dr. Jörg Danzberg (Swissmeda), Dr. Sigmar Schnutenhaus (Praxis Dr. Schnutenhaus) and Herr Oliver Keller (Camlog) presented the event. The closing live surgery by Dr. Schnutenhaus using a smop template and the new Camlog Guide 2.0 was one of the overall highlights. After our version 2.6 with the first version of the template-designer module, we were able to optimize the functionally and focus on an easier integration of all elements of the full process in version 2.7. Additionally we improved the online-ordering functionality for templates and added more implant systems and surgical kits, as requested by their users. During the annual „IPI Praxistage“ in Munich on December 6th and 7th our smop System was being presented by local speakers. But the event’s highlight was a live implantation using a smop template. To be able to answer arising questions we had a small booth and were overwhelmed by the interested crowd. Unfortunately time was short so not all visitor’s questions could be answered detailed enough as we would have liked to. After our successful first user training of the new template-design module in summer, we carried out another intensive Introduction how to create drilling templates digitally in November. We discovered the new functions together during this training and discussed problems that might occur on the way to an own stent design. There were intensive discussions and exchange of experiences on how to create the "optimal" surgical template. On the global conference 2013 of MIS in Cannes, Florian Schober from the University of Zurich lectured about the future of Guided Implantology. He provided a clear summery on the available and missing evidence and presented a very comprehensive overview of new possibilities already today and what we can expect from the future. On the first weekend in June 2013 the University Complutense in Madrid organized the Conference "Digital Dentistry Applications for Implantology". After various presentations in the topic of computer assisted implant dentistry, 3D implant planning and guided implant placement from Prof. Mariano Sanz, Dr. Dr. David Schneider, Dr. Manuel Sancho and Dipl.-Ing. Florian Schober on the first day, the participants could learn in intensive hands-on trainings on computers with the smop Software and templates on models the second day. The company Camlog Spain provided drills and implants for the exercises. It was the biggest event Swissmeda assisted so far in Spain and the participants gave enthusiastic feedabacks. On the IDS we presented our new module of the virtual design of surgical guides to the market. 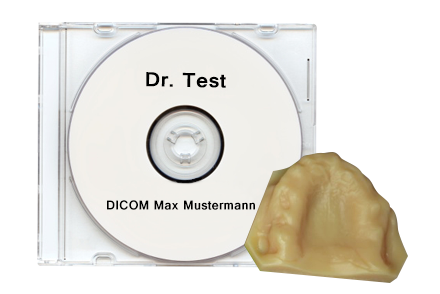 Service Partners and for example Dental Laboratories can design surgical templates based on the prior 3D implant planning and export the result for printing with 3D printers. This open solution was very well appreciated from the market. We had numerous international visitors and were able to expand our international base extensively. PD Dr. Ronald Jung (left) (Center of Dental Medicine of the University of Zurich) and Dr. Jörg Danzberg (Swissmeda AG) on the booth of the smop implant planning system. Ronald Jung works since several years with the 3D implant planning system. He and his colleagues have been repeatedly consulted for the development of the design-strategy for surgical templates.